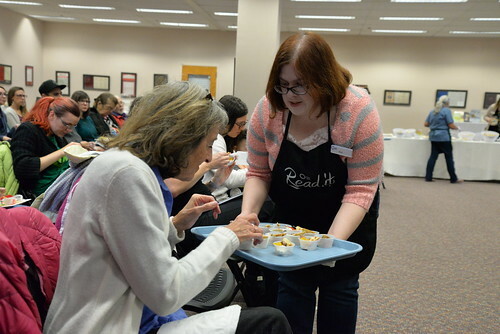 The eighth annual Read It and Eat Culinary Conference dove into the world of dairy and dairy alternatives, featuring local purveyors of delicious cheese, milk, ice cream and dairy alternatives. 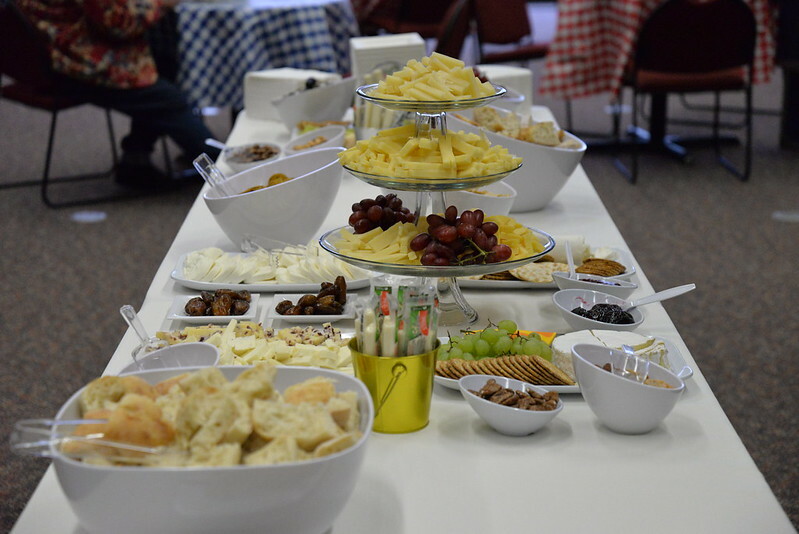 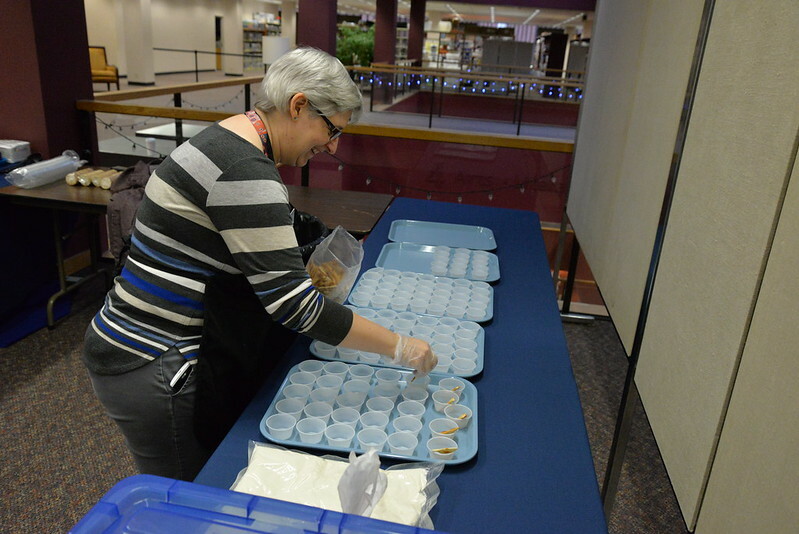 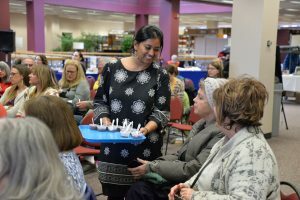 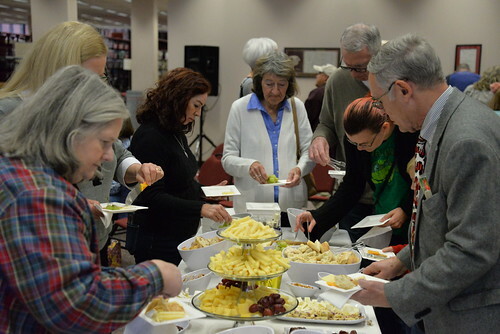 Over 116 people made their way to the fourth floor of the W. Dale Clark Main Library on Saturday, Nov. 3 to learn about and sample various forms of dairy. 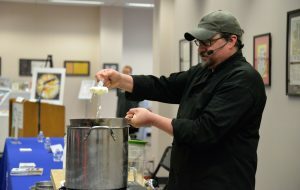 Chad Lebo of Cure Cooking demonstrated how to make ricotta cheese at the Read It and Eat Culinary Conference. 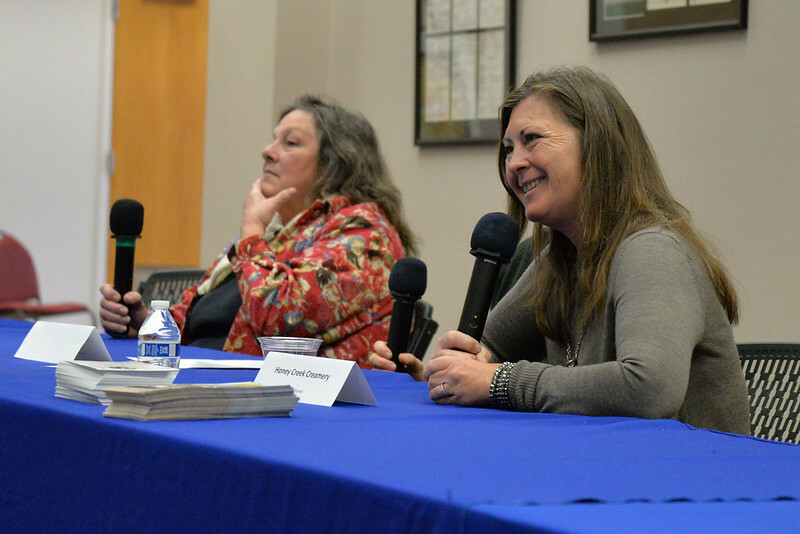 The cheese panel featured Janna Feldman of Does and Divas Dairy Farm, left, and Sharon Oamek of Honey Creek Creamery, right. Following a cheese sampling, the next group of panelists discussed dairy and dairy alternatives. 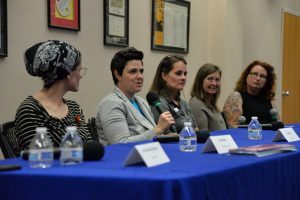 Participants included Lisa Burbach of Burbach's Countryside Dairyopens a new window, Lisa Purcell of Myrtle & Cypressopens a new window and Katie Townley of Modern Love Omahaopens a new window. 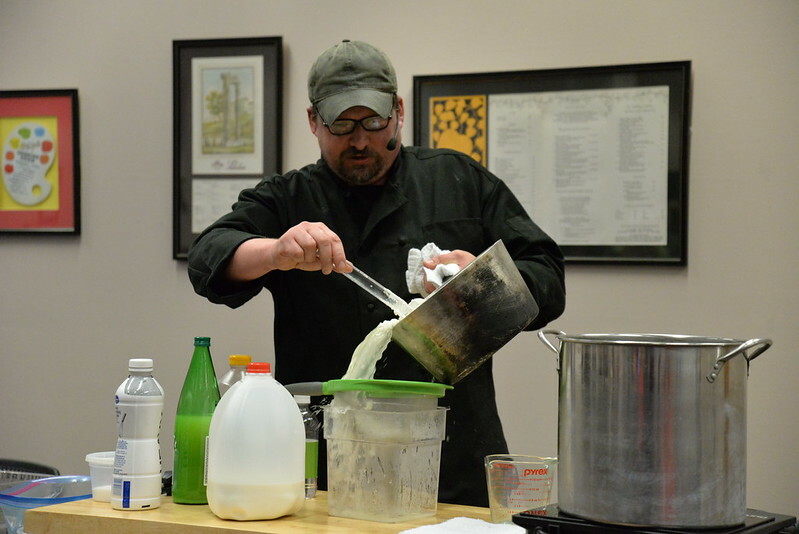 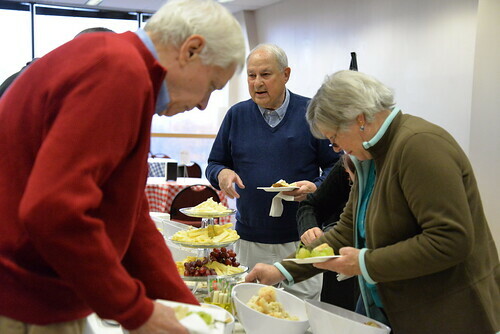 Attendees learned about the process of dairy making, the health benefits of dairy alternatives, and the creative ways that Modern Love has replaced dairy in their vegan restaurant. The conference ended on a sweet note, with an ice cream demonstration by Abby Jordan of eCreameryopens a new window and a panel discussion featuring ice cream and gelato makers Suzi Bonnett of Chocolaterie Stamopens a new window, Feldman of Doe's and Diva's, Jordan of eCreamery, Oamek of Honey Creek Creameryopens a new window, Amy Lea Green of Ivanna Coneopens a new window and Jeannie Ohira of Ted & Wally'sopens a new window. Samples included a rich chocolate and seasonal pumpkin ice cream, a strawberry sorbet and ice cream cookie sandwiches. 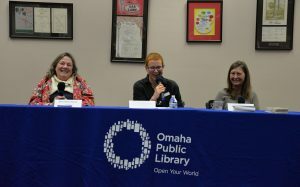 Special thanks to the conference presenters, the Omaha Public Library Foundationopens a new window and Friends of Omaha Public Libraryopens a new window for their support, and to Lois Friedman, who gave the opening remarks for the conference. If you weren't able to attend the culinary conference, OPL has a variety of books on all things dairyopens a new window available for patrons to check out. View more photos from the 2018 Read It and Eat Culinary Conferenceopens a new window.